Milwaukee #4096 Core Drill Motor. 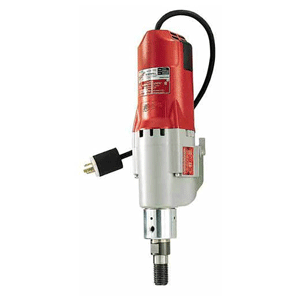 Milwaukee 110V 20 AMP drill motor comes with two speeds with RPM's of 450/900, Motor has slip clutch protection. Motor can drill from 2" diameter thru 10" diameter. Protects gears and motor against overload. 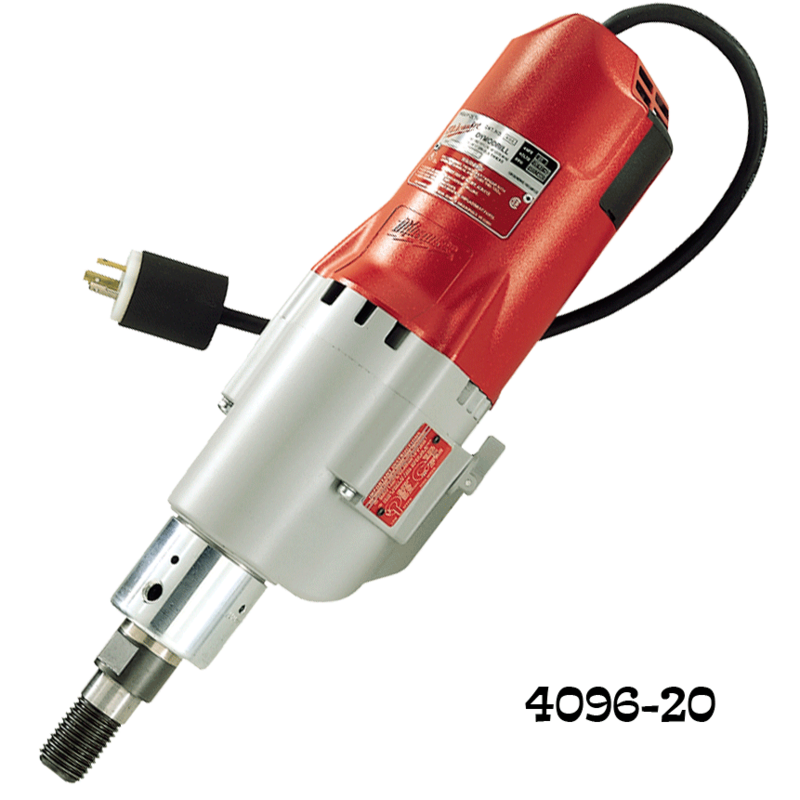 Milwaukee 110V 20 AMP drill motor comes with two speeds with RPM's of 450/900. Motor has slip clutch protection. Protects gears and motor against overload. Motor can drill from 2" diameter thru 10" diameter holes. Must be used on optional core drill stand sold separately. Milwaukee 4096 110V 20 AMP drill motor comes with two speeds with RPM's of 450/900. Milwaukee 4096 Motor has slip clutch protection. Protects gears and motor against overload. Motor can drill from 2" diameter thru 10" diameter holes.